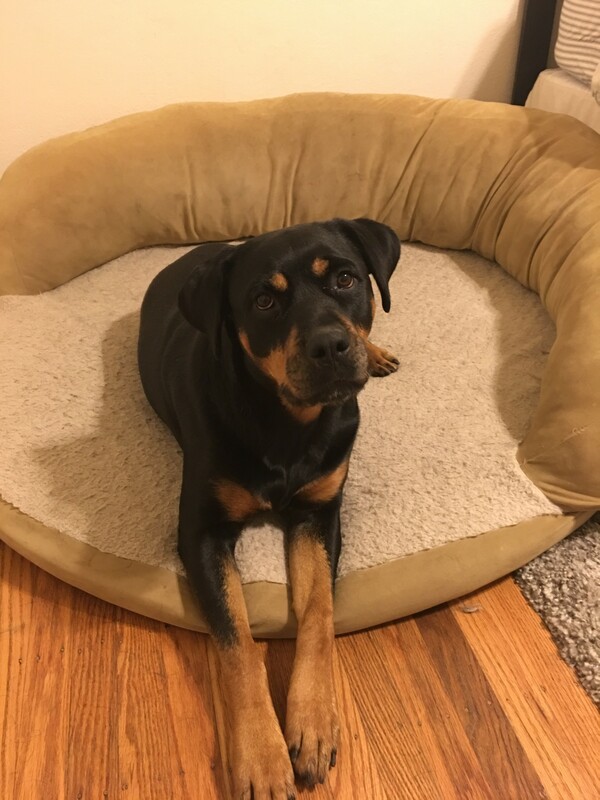 I am a beautiful?3-year-old female Rottweiler?who needs a new home ASAP. I am 75 pounds of pure sweetness and I will add a lot of sunshine to whatever home takes me in! I am a rescue, so I do get a little timid at times (loud noises and sudden movements scare me), but there is not a mean bone in my body. It takes me a little to warm up to people, but once I do, I am as sweet as pie! I am a great guard dog and bark whenever people come to the door, but would never harm anyone. I am current on all my shots, have zero health issues, and?am?housebroken. Adopt me today! I?currently live in San Jose, California, but would love to see where you live! Apply to adopt me today because I know I won’t last long! There is a $200 adoption/rehoming fee. All supplies will be included. Accessories Included: Dog bed, leash, collar, a few toys, crate and x-pen. 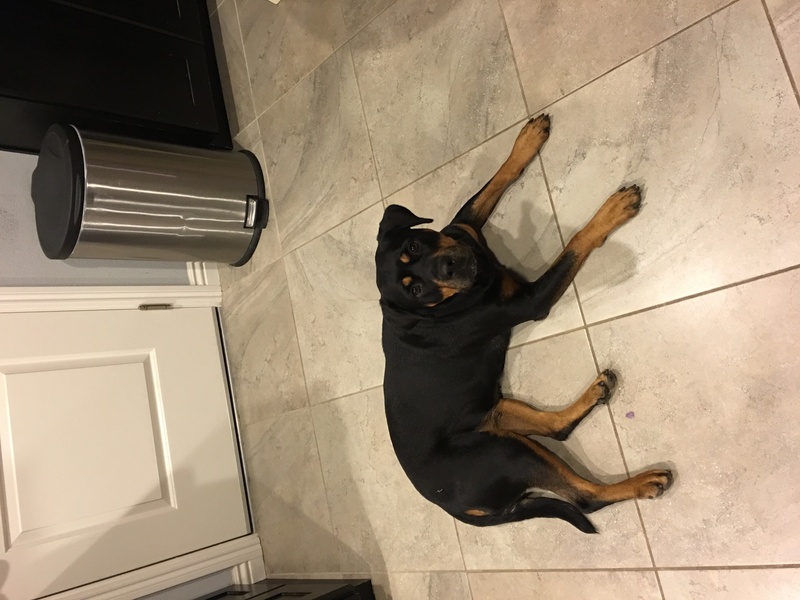 Riley is a very sweet girl who loves attention and is easy to please. She likes playing with balls and is food motivated. She is a rescue dog and came to us as a very scared little girl. Over the few months we have been with her she has become more socialized but she is still nervous of loud noises and sudden movements. 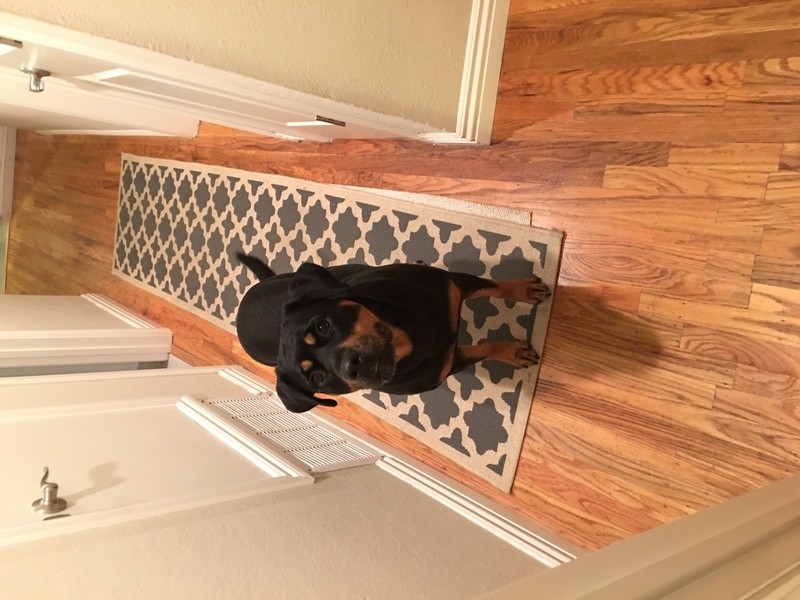 She barks when someone comes to the door but when introduced she becomes affectionate. Riley lives in a 3 bedroom house with a medium sized back yard. She stays inside most of the time and has half the house to herself (our other dog occupies the rest of the house). She gets 3 walks a day about a half mile each and eats 1 and a half cups of food twice a day. Riley lives with me, my fianc? Anna and our other male Rottweiler. Anna and I both work but I stop at home each day for lunch and take Riley for a 10 minute walk. Riley does not get along with our other dog. Riley’s favorite toys are balls, particularly if they have something distinctive about them. Her favorite ball has both smooth and rough surfaces on it. 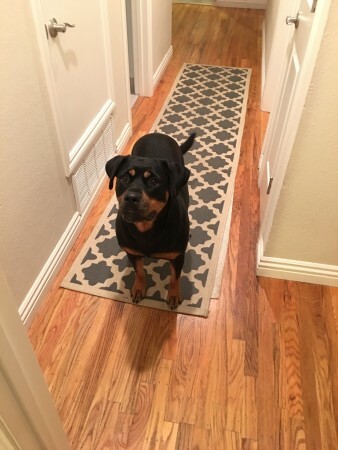 Riley like to go on walks and her favorite destination is the school down the block when class is not in session. She like most all foods but our favorite easy treat for her is string cheese. 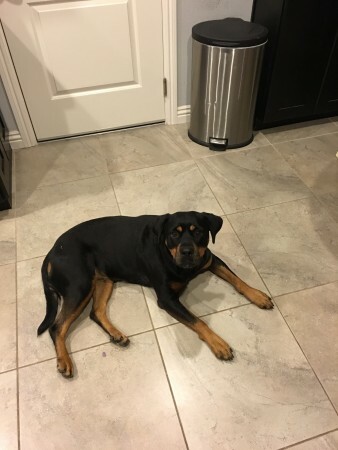 Riley is very affectionate but might love food more than she loves anything else. Early on when I would leave the house I would need to separate her from our other dog so I would walk into her room so she would come in, then I would secure her in her area and leave the house. After a few days she caught on and would stop following me into her area when it’s time to leave. After battling with her for a few days I tried bringing her food bowl into the room with just a little kibble so she could have a quick snack when I leave. Now her favorite part of me coming home for lunch is when I leave and give her a snack. I adopted Riley close to 6 months ago from the Santa Clara County Animal Shelter. I adopted her because I wanted a friend for my other dog who is very well socialized. For the first couple of months they got along great and things were working out just as I hoped but then we noticed things starting to turn a little unfriendly. Lately we can’t have them in the same room together without getting into a fight. She is a really nice dog but she should be in a 1 dog home. Her current situation is not terrible but I feel like the separation of the 2 dogs provides an environment where she can’t thrive due to the constraints. I know there is a better home out there for her with an owner that will appreciate all she has to offer. I just want to find a nice home where Riley can receive love and comfort. Other details are not concerning as long as she has someone to bond with that will treat her with love. Dog bed, leash, collar, a few toys, crate and x-pen. Food, treats, and whatever else is needed to help the transition can be provided.